With the inception of Common Core standards and The No Child Left Behind Act, all educators require teaching literacy across the curriculum. Getting kids to write, especially the weaker writers, can be a challenge in itself but getting kids to write about math can be even more challenging – unless you use blogging as your literacy tactic. Blog writing is informal, unlike academic writing, which may be intimidating to some, if not all, of your students. Blog writing takes the pressure off of writing and gives your students a voice in a safe environment, even if you or your students stepping out of your comfort zone. Blog is short for web log. It’s a bit like an online diary or journal, except blogs aren’t necessarily private, instead they’re created for an audience. And just like a diary or journal, a blog is relaxed, making it an easy and comfortable way for students to get writing. Blogs are written on all kinds of topics from A to Z. Readers can usually leave comments, which lead to discussions about the blog’s content. For example, a blog about flipping your classroom can lead to a discussion between novice and experienced teachers about common questions, advice, tips, and clarifications. How can Teachers and Students use Blogs? Teachers can use blogs to publish assignments, resources, and keep students and even parents up to date on class events, due dates, and content being covered. Teachers can also use blogs to help students’ master content and improve their writing skills. Students can use blogs to publish their writing and educate others on a particular topic. Students can also create blogs for the chess club or the yearbook club, the football team or the upcoming prom. This YouTube video from Palm Breeze Cafe gives an overview of a blog’s place in the educational process. Your first step in blog creation is choosing a platform. A platform is where you build and publish your blog. There are many secure sites where you can do this for free. Here are the top three. Edublog.com is the number one site for education blogs. It lets you create and manage teacher and student websites. You can customize your design and even add photos, #videos, and podcasts. Learn more about this free, private, and secure website platform in their engaging edublogging video. Kidblog.com is a safe, secure publishing platform designed for grades k-12. It’s free for up to 50 students per class. Some of the features include no advertising, privacy, password-protected, no personal information needed from students, and simple to use so students spend more time publishing. WordPress.org is a free blogging site and a good choice if your blogs go public. There is no need to purchase a domain name (every blog has “wordpress” in its title; for example myblog.wordpress.org. Although not as simple to use as platforms designed specifically for educators, it has some good features, such as numerous plug-ins that allow you to do almost anything you want with your blog. Once you’ve chosen your platform and the web builder’s tutorials and training material, it’s time to start blogging. But first, here are some 11 tips for blogging in today’s classroom. Before starting an outline of your blogging guidelines and expectations check with your school for a written guideline. From here you can develop clear goals, guidelines, and expectations for you and your students. For example, your school may or may not allow photos of students on blog pages or they may require written permission from a parent to participate in a blog. You and your students need to know the rules before blogging begins. Guidelines can be published and updated right on your class blog for easy access by students and parents. Blogging can be used across the curriculum. From math and science to history and health, blogging is great way to take literacy across the curriculum. Blogging not only requires subject knowledge, it also takes good writing skills. Even if you’re using blogging in a math or science class, you should set some time aside to teach a bit of writing and grammar. Just 5 or 10 minutes a class to go over one or two key points will make you and your students better writers. The comment section of a blog post is where students can share thoughts and opinions and have a discussion about the published content. Initially, it is a good idea to teach students the dos and don’ts of commenting. Start off by writing the first two or three blog posts and have students comment according to your set of criteria. For example, encourage students to contribute quality comments while discouraging put downs and inappropriate language. Monitor comments and provide feedback. Building a blog takes time so set your sights small. For example, start off with a class blog focusing on one topic where students can contribute posts under your supervision. Choose something the kids are passionate about or want to raise awareness about. For example, a classroom blog could be about an endangered species such as the orangutan or about the importance of eating healthy. Once a topic is exhausted, create a new classroom blog on another topic. 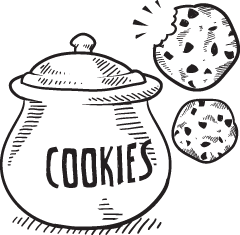 The old blogs remain static but available for readers. By starting with a classroom blog, students build the skills they need to create their own blogs effortlessly. Take the time to read other classroom and student blogs. This will give you and your students concrete examples of the finished product and give you ideas when creating your own blog. Blogging takes commitment. If posts are haphazardly published, reader base and student interest will most likely decline. The idea is to keep building and expanding. In the beginning, set a goal of a post every two weeks per student and gradually increase submissions, as the students get more comfortable with blogging. Explain to students that plagiarism will not be tolerated. Student contributions must be their own work. Don’t post copyrighted images. Do post copyright free images. Include a site here. Encourage local and global collaboration by having students network with bloggers and follow other student blogs. Although it is important to give students a choice when selecting a blog they want to follow, it is best to provide them with a set of criteria to help with their selection. 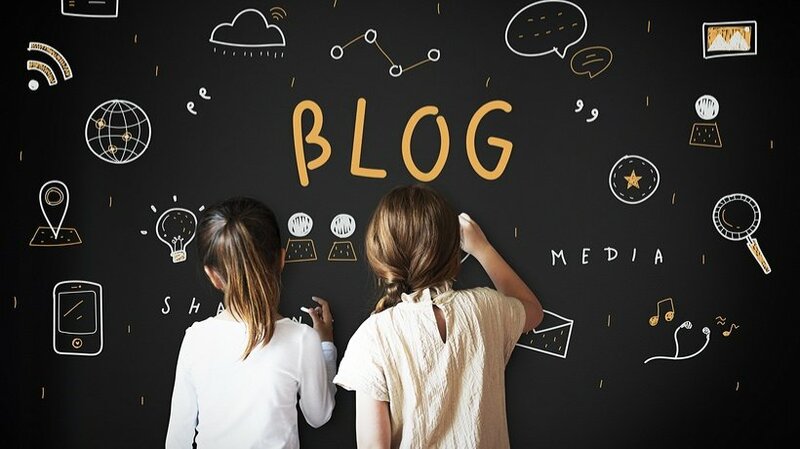 If any of the blogs related to your classroom are made public, then you’ll want to get more readership by connecting your blog with social media sites, such as Facebook, Twitter, and Pinterest. Word of mouth is always the best advertising. As with most new ventures, there is also a learning curve with blogging. Maneuvering platforms to create one or more blogs while also monitoring student and class blogs can be time-consuming. But there’s a good chance most of your students will be excited about blogging and will want to take on more responsibility, perhaps for some extra credit. For older students (grades 4 and up) you can ask or assign students to manage and monitor blogs, mediate comment sections. Give your pros a chance to shine by having them lead small groups that help students navigate the world of blogging. Be sure to rotate these student roles. As the traditional classroom is changing nationwide and current and future careers are dependent on strong computer skills, blogging helps your students develop necessary skills for their continuing education and gainful employment. Consider the world of blogging as a creative, fun way to bridge literacy and across the curriculum and cover other learning standards at the same time.